John Allen Kromas, Retired Navy Officer and local business owner, dies at 84. John Allen Kromas passed away peacefully on July 28, 2018 at his home in Springfield. He was born on February 7, 1934 in Waco, Texas, the son of John Arthur and Zadie Belle Kromas. John grew up in the Waco, Texas area, where he started a pen pal project by writing letters to a little girl in Blytheville, Arkansas in third grade. Through the years, John would write and receive letters on a regular basis from the same girl in Arkansas. When John became 18 and was planning a trip through Blytheville, Arkansas, he wrote to see if it would be possible to meet for coffee, and Ruby Lee Henson agreed. On June 25, 1952, John and Ruby were married. John started his career soon afterwards with the U.S. Navy, and retired after 20 years as a Chief Petty Officer. Following John’s retirement, he enrolled and graduated with a bachelors degree from the University of Texas at the age of 38. After graduation, John and Ruby moved to Springfield, Missouri, and started the Country Sunshine Gift Shop in Republic, Missouri. After successfully running Country Sunshine for 32 years, he passed the business on to his daughter Vickie in 2015 and was retained as a consultant until his death. John leaves behind four children, Allen and wife Dana, Karla, Vickie and husband Curtis, and Robin and husband Mark; followed by 11 grandchildren; five great grandchildren; a close friend, Doris; and a very special dog, Spooky. John will be forever missed by all who knew him. His life has left an immeasurable mark on his children and grandchildren and will stay with us forever. To send flowers or a remembrance gift to the family of JOHN ALLEN KROMAS, please visit our Tribute Store. 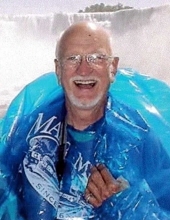 "Email Address" would like to share the life celebration of JOHN ALLEN KROMAS. Click on the "link" to go to share a favorite memory or leave a condolence message for the family.